A major component of the Transformation Plan for UB is effective cost cutting measures. 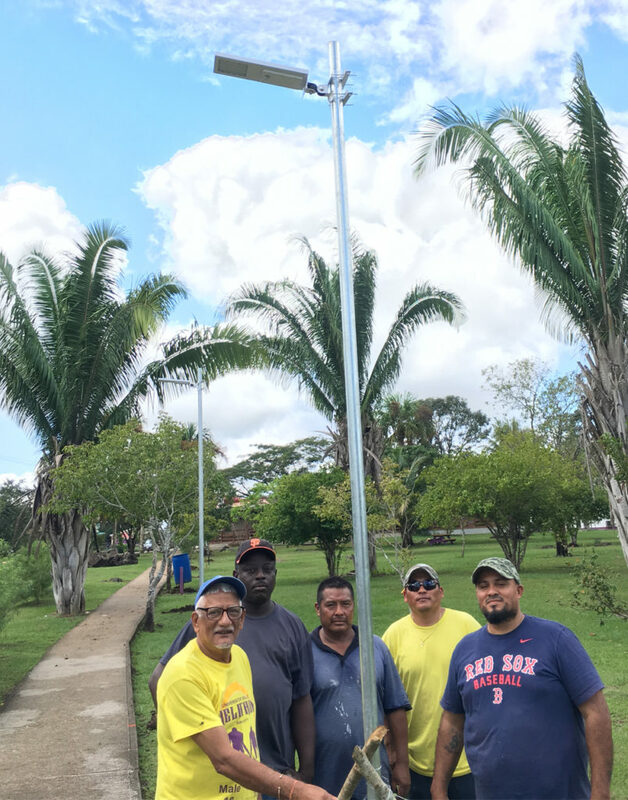 Early last year a pilot project was conducted with the Faculty of Education in Belize City by changing all light fixtures both interior and exterior with LED bulbs and fixtures. This assisted with lower electricity consumption. 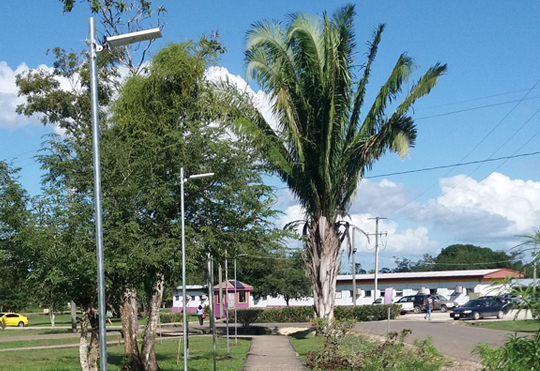 ​ Solar LED light fixtures on the Belmopan Campus. 16 fixtures were installed along the walkway between the Administration Building Junction and the UB Book Store. These light fixtures are energy efficient, they come on at night and automatically cut off during the day. It also has a feature that utilizes 25% of its energy and increases to 100% when there is movement in close proximity to the poles to give added visibility. The lights were mounted on 12 feet poles and 24 feet apart to give adequate lighting. 8 Solar LED lights will be installed during the course of the week on the walkway between the pedestrian cross and the bus shed. In the next few weeks 28 additional lights will be installed to complete the walkway between the pedestrian crossing and bus shed, walkways from Jaguar Building to the Administration Building and walkways from the bookstore to both the Library and the front gate of the campus. Additionally, the Physical Plant Department is currently doing repairs and replacement of existing lights on all buildings as well as existing poles on the Belmopan Campus. This is scheduled to be completed within the next few weeks.